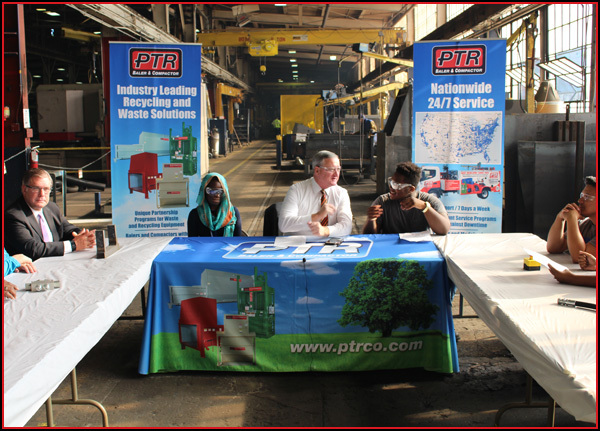 National Manufacturers Day, Student Awareness campaign with Mayor Kenney. The employee sponsored holiday giving project to donate clothing and toys to the St Vincent/ St Francis home for Children and young adults has resulted in our largest donation yet! The toys and clothing were delivered in time for the holidays. PTR would like to thank everyone involved with this project. Our employees share our culture of giving back to the community. PTR would also like to give special thanks to Rebecca Aiken and Dawn Rischow for spearheading this effort. PTR has dedicated itself to making a difference. Making a difference by taking a leadership role in building the foundation for future generations through environmental education and vocational training. Making a difference through good corporate citizenship and having a positive impact on the people and communities in which we serve. Making a difference by promoting and embracing American Manufacturing and the workforce it creates. Our vision is that by making a difference now, we can create more prosperous jobs and better futures for generations to come. 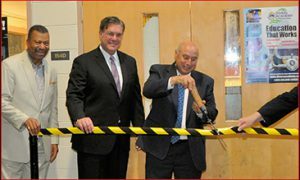 PTR Baler and Compactor Company provides equipment and resources to many of the local schools including, Mercy Vocational High School, Thomas Edison High School, Randolph Career and Technical High School, and Benjamin Franklin High School. PTR is involved with Mercy Vocational High School and Edison High School (both in the City of Philadelphia) by employing their students in our Co-op Program. These high school seniors spend their afternoons at PTR during the school year applying their trade (electrical, carpentry, welding) under the supervision of our plant managers and foreman. 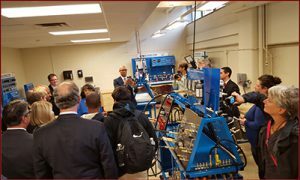 PTR believes that training in the manufacturing trades is a powerful tool that companies throughout the city should invest in to ensure that the next generation of qualified, entry level workers are ready to meet the challenges of a 21st century work place. PTR is deeply committed to its partnership with Business Leadership Organized for Catholic Schools (BLOCS). BLOCS is an independent charitable organization supported by companies, firms, and foundations of all sizes in the five county Philadelphia region. BLOCS is committed to giving children of all incomes, races, ethnic origins and religions access to high quality, values based education in Philadelphia area Catholicschools. The Environmental Research and Education Foundation (EREF) is one of the largest sources of solid waste research funding in the U.S., allocating approximately $1 million annually in research grants and graduate level scholarships. Thus far, over 50 students have been EREF scholars, many of whom are now in key academic and professional positions across the U.S.
PTR is a charter member of the Urban Industry Initiative (UII) in Philadelphia. The mission of UII is to create and sustain manufacturing jobs in Philadelphia through a comprehensive strategy between manufacturers and their community. It is an independent, non-profit corporation within the commonwealth of Pennsylvania. 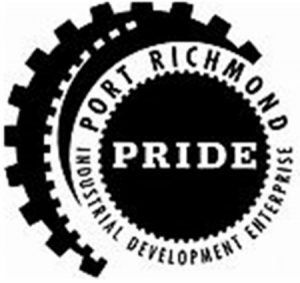 PTR is an active member in the Port Richmond Industrial Development Enterprise, PRIDE, is the first urban industrial park in the commonwealth of Pennsylvania. As a proud member of the Manufacturing Alliance of Philadelphia PRIDE’s mission is to strengthen the business environment of the area by focusing on improving security, cleanliness, infrastructure and relationships between businesses and their residential neighbors. PRIDE’s Mission is to provide a business friendly industrial zone that promotes manufacturing and industrial growth within the city of Philadelphia while working with the surrounding community for our mutual benefit. From its creation in 2000 through last year, PRIDE has attracted $2.3 million in investment to the area, said Stephen Jurash, president and CEO of the Urban Industry Initiative. The district has also effectively addressed the main concerns of both businesses and residents -- making the area cleaner and safer. PRIDE Philly Spring Cleanup event.